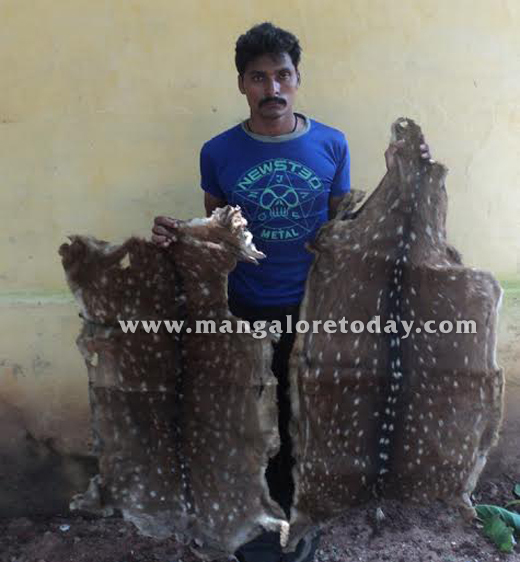 Mangaluru, July 31, 2015: The Special Forest Squad’s Police personnel of Mangaluru have arrested a person of Haveri origin near the KSRTC bus terminus in the city on July 30, Thursday on the charges of attempting to sell Black Buck pelts. The pelts of two black bucks were seized from the accused identified as Maruthi Shivappa Shigatti. The arrest followed a tip off and the operation was led by Shekhar, PSI of Forest Mobile Squad. 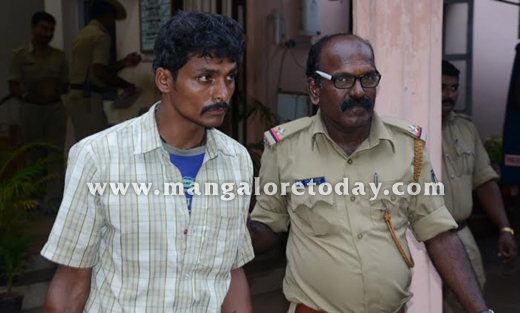 It has been gathered that another accused Molali Mabuli Bade Saab also of Haveri has managed to give the cops a slip. Search for him is on. The case has been handed over to the Barke Police and the accused has been booked under Wildlife Protection Act. The operation conducted under the directions of Hemanth Nimablkar, IG of Forest Mobile Squad and Venkat Naik, Superintendent, was participated by Head Constables Umesh Hosolike, Jayaram Rai, Honnappa Gowda, Ramachandra G, Basheer and Narayana. The police has to find the whole racket involved in this and take them to charge.